You can never have too many cat beds. Or at least that is the case in my apartment. And with more than one cat it is good to give them areas where they can also get some quiet time away from each other. The Hepper Pod Cat Bed offers the chance for a cat to have their own little hideaway. I must admit I do love the modern design of this Hepper bed. And it really looks good in a modern apartment or house. But lets discuss what the Hepper Pod cat bed actually is and more important whether our cats will like it. This is a raised pet bed which allows fresh air to circulate around kitty whilst they sleep. It also means that you can keep your floor tidier. Or in my case allows my roomba to clean the floor underneath whilst my cat sleeps in the bed. 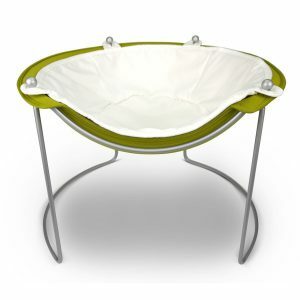 The frame and legs of this pod bed are made from steel so they are strong and durable. And this steel frame has a smart powder coated finish. The bed itself is made from a flexible foam to make the actual pod or shallow bowl shape. This is then covered in a washable liner made with a soft sherpa fleece and microfiber which is reversible. The pod lid is also made from flexible foam and can be removed. So the bed has two uses. 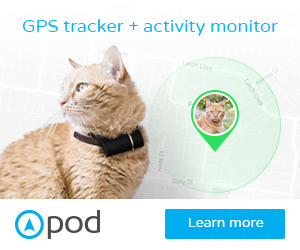 Either an enclosed pod where your cat can curl up and sleep in peace and quiet. Or as a lounging bed where they can watch everything that goes on around them from a slightly elevated position. The pod itself is about 11 inches off the ground. 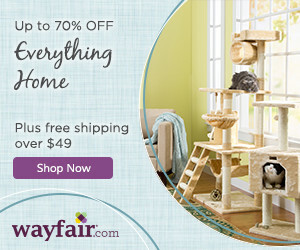 This is actually perfect for cats that like to hide or have a sleeping place that is covered over and away from foot traffic. If your cat likes to stretch out whilst sleeping then it would be best to remove the top part of the pod. But if your cat loves to curl up whilst sleeping then keep the top on. I found that the bed was a little too small though for a large cat that was over about 12 pounds. For my larger cat it worked much better with the top off and then she curled up in it even though she did slightly overflow. For my kitten, who is almost five pounds, then the pod worked very well. However cats often do seem to like sleeping in small tight cosy spaces. Putting the Hepper cat pod bed together was very simple. You attach the base to the two leg pieces with four bolts and you get an Allen wrench/key to tighten the bolts. 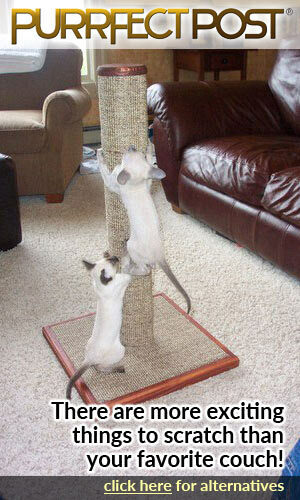 You can then put the four rubber feet onto the legs which stops this scratching against wooden floors. Then pop the bottom pod onto the base. Place the reversible sleeping pad onto the pod by passing the tops of the legs through the holes in the pad. You then pop the top part of the pod on. It takes about 5 minutes to put together. Though it did take a bit longer to unwrap the bubble wrapping from the legs when I opened the box. Upkeep is quite easy. The reversible pod pad is washable. And you can vacuum the pod base itself and wipe with a damp cloth if there are any dirty spots. Reversible washable pod pad made from sherpa fleece and microfiber. Pod made from flexible foam covered in quality material. 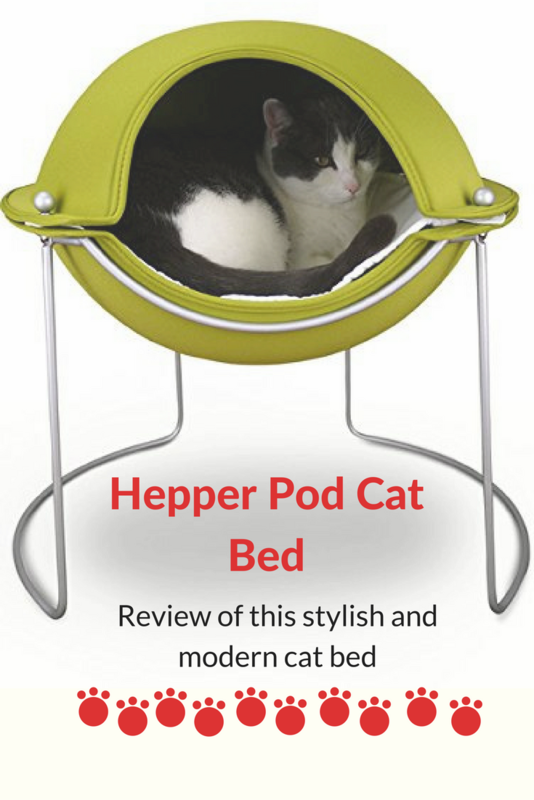 The Hepper Pod Cat Bed is very stylish and modern in design. I very much liked the reversible pod pad as it is great for easy cleaning. I also like that this is a raised bed so it is very easy to clean underneath and it allows the cat to have more of a view. My kitten really like curling up in it whilst the lid was on but for my larger cat is was too small when the lid was fitted. However, she was perfectly happy lounging in it once the lid was removed. Overall though I do think that it is a very nice quality product but slightly overpriced. I would really love a bigger version as well for larger cats. If you do want a larger sized kitty bed then the Kitty Ball Bed will also suit you. Thanks for the great information. 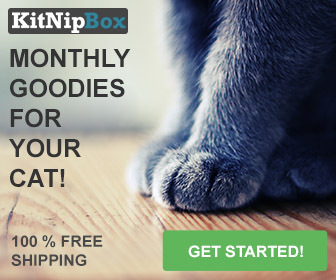 The cat beds looks great–I love that it looks like a little spaceship. I have one question, though: since the base is somewhat smaller than the upper part, it looks like it might have a tendency to tip over. 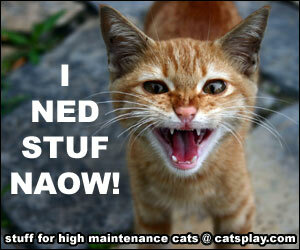 Did you notice any tipping problems with your larger cat? No it is pretty stable probably because the base wire goes almost all the way around. The centre of gravity then is the centre of the pod so very stable.